Dana Engineering, Inc. (DEI) is a small local business established in 1992 serving the Northwest USA, with an office in Richland, Washington. As the website demonstrates, DEI provides multi-discipline (mechanical, electrical, civil, structural,managerial, field support, base closure, etc.) professional and architect/engineering, including staff augmentation support. We assemble highly experienced professional teams for each contract or task. Services include conceptual and detailed designs, studies, and assessments and field inspections for a variety of facilities, utilities and infrastructures. Our employees are experienced in nuclear waste cleanup and nuclear power plants, and in plant operations, startup and commissioning. Local customer support satellite offices are established at customer locations whenever necessary. DEI is a "small business as defined by the Small Business Administration, which allows us to compete on short-lists for "small business set-aside" government contracts. Dana Engineering also provides individual "Staff Augmentation" where our employees are assigned directly to the customer at their location. Our registered professional engineers and designers have recently completed more than 30 scopes of work that require highly complex engineering solutions. These designs included gas distribution systems; roads; pipelines; fall protection compliance certifications; roof inspections; military telecommunications planning; metering,power distribution and UPS electrical systems; remote automatic valves and controls; tanks; and adapting PLC system controls for water plant operations. DEI's core competencies include not only A/E design, but also independent assessments and oversight, design and installation certified reports including field inspections and professional engineer stamped certifications. Other services include plant systems engineering,operations and construction support, operational readiness reviews, maintenance programs, quality assurance, training and corrective action assessments and reports. Dana Engineering has excellent credit and financial ratings as noted by Dun & Bradstreet. We are fully capable of supporting payroll at any anticipated level without financial hardship. Dana Engineering has a co-employer relationship with a reputable payroll and benefits company for excellent management of payroll, full benefits, employee perks and the 401K program. The Department of Energy, National Nuclear Security Administration has made a favorable Foreign Ownership, Control or Influence (FOCI) determination for Dana Engineering and the facility clearance has been registered in the U.S. Safeguards and Security Information Management System. The President of Dana Engineering has held United States Q (US-DOE) and Secret (USN). clearances. . Independent professional engineer certifications of construction per CFR's, RCRA, IQRPE and applicable State regulatory requirements. Dana Engineering implements work in accordance with our NQA-1 and ISO 9000 Quality Assurance programs. We ensure contract compliance and program effectiveness by implementing a wide range of ISO-based requirements from project concept through closure. Dana Engineering has a dedicated NQA-1 quality assurance program for use on nuclear related projects. Customers include Federal, State and Local government and private contractors, and the U.S. Army. 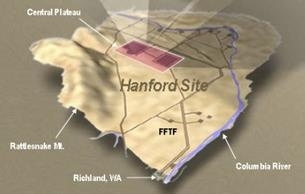 Complex project assessments have been completed at DOE- nuclear, NRC-nuclear power, State-Ecology and U.S. Military base facilities. Recent Dana Engineering customers include Washington River Protection Solutions (independent qualified registered professional engineers and inspectors), Mission Support Alliance (engineering designs, programming, training and assessments), State National Guard (electrical and telecommunications plans), Umatilla Depot Local Redevelopment Authority (U.S. Base Realignment and Closure - BRAC), Pacific Northwest National Laboratories (organizational assessments), Washington State Department of Ecology (hazardous waste permit compliance), the U.S. Army, U.S. Forest Service (HVAC design), the City of Kennewick Values Mapping conflict resolution. Dana Engineering is experienced in networking with other specialized teaming partners such as Arculus, LLC (architecture), Beacon Engineers, Inc. (structural), and Spink Engineering (civil). Engineering led the "Dana Mission Support Team's" redevelopment planning efforts at the Umatilla Chemical Depot. We authored the Defense Base Closure and Realignment Commission (BRAC) redevelopment plan that allowed successful transition of the base ownership from Federal to local control. The "Dana Mission Support Team" worked for the Local Reuse Authority which is comprised of two counties, two port districts, the Confederated Tribes, the Oregon National Guard, and the State of Oregon. 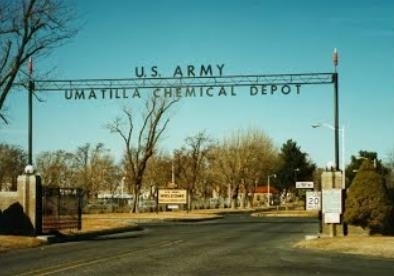 For U.S. Army chemical and weapons facilities at both Umatilla, OR and Pine Bluff, AR Dana Engineering provided Quality Assurance (construction), Professional Engineer (P.E.) “Facilities Construction Certification” (FCC) program management & implementation Dana Engineering was the major support contractor for the "Operational Readiness Review" of the Umatilla Chemical Disposal Facility, allowing this complex facility to start-up. Dana Engineering’s employees are seasoned engineering and management professionals with an average experience in excess of 30 years. The engineering and designer disciplines include Mechanical, Electrical, Control Systems, Civil and Structural. Our engineering team provides design engineering, environmental compliance, technical planning, training, risk analysis, and constriction and operation of complex industrial facilities. When it comes to managing risk, or designing, operating, and maintaining technology we can help you meet your most challenging goals. We work under rigorous deadline pressures to produce the highest quality results. Dana Engineering has gained a reputation for working alongside our customers at jobsite locations; thus achieving the highest customer satisfaction and meeting schedule commitments.